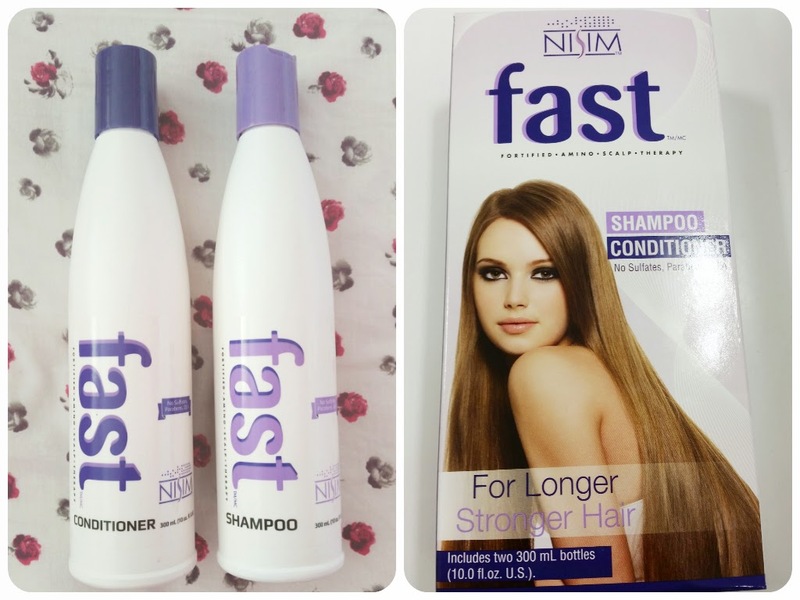 I want to introduce to you FAST, this is a shampoo and conditioner which you will find in Boots for £29.99 (you can also buy on amazon) this is for two large 300ml bottles. It is herbal based and contains vitamins and amino acids, which will help you grow longer stronger hair and it contains no parabens, sulphates or DEA so it isn't harmful for the hair. I know it does seem pricey, but after continuously spending money on hair extensions I decided to go for it and try it out (I'm so glad I did!) The product states the shampoo and conditioner work together to make your hair grow faster, by up to 99% so if your hair grows 1 inch a month it will grow 2 inches that month. That is exactly what it did for me, in just the first month my hair grew just over 2 inches and people actually commented on the difference! I've also recommended it to friends who have experienced these great benefits too and you can definitely see a difference! On the box it states that the products are to be used daily but I didn't like this idea as I like to wash my hair every 2-3 days so I'm not removing all of the natural oils. So this is what I did, I washed my hair with the FAST shampoo and conditioner every other day, you may get an even better result using daily but I decided to stick to my hair care routine and it still worked wonders for me! You don't need a lot of this product and you want it to last a decent amount of time to feel the benefits. I use a small amount in the palm of my hand and massage it into the roots, as you want the product stimulated into the hair follicle in order for it to work. One thing to note, the shampoo doesn't lather as much as I'd like and before putting the conditioner on it feels almost a little dry and heavy but once you massage the conditioner into the roots, the hair begins to feel much softer. I also apply a little bit of my normal conditioner to the ends of the hair, as I feel it needs a little more conditioning in the dry areas. So after washing my hair every other day for about a month with these products my hair grew 2 inches and I feel it gave it a boost to grow and before long it was past the frustrating shoulder length, which I never thought was going to happen! I first used these products just over a year ago and I have repurchased them twice since then. One box lasted around 6-8 weeks for me and I used another a few months later just to give it an extra boost, I have never had as many comments on my hair! I get asked if I am wearing extensions and how it grew so long by so many people (now my secret is out!) I now only use this product every once in a while, I've had my third box for a couple of months now and don't feel it is necessary as my hair is the longest it has ever been!